Physics (from the Ancient Greek φύσις physis meaning "nature") is the fundamental branch of science. The primary objects of study are matter and energy. Physics is, in one sense, the oldest and most basic academic pursuit; its discoveries find applications throughout the natural sciences, since matter and energy are the basic constituents of the natural world. The other sciences are generally more limited in their scope and may be considered branches that have split off from physics to become sciences in their own right. Physics today may be divided loosely into classical physics and modern physics. Elements of what became physics were drawn primarily from the fields of astronomy, optics, and mechanics, which were methodologically united through the study of geometry. These mathematical disciplines began in antiquity with the Babylonians and with Hellenistic writers such as Archimedes and Ptolemy. Ancient philosophy, meanwhile – including what was called "physics" – focused on explaining nature through ideas such as Aristotle's four types of "cause". The move towards a rational understanding of nature began at least since the Archaic period in Greece (650–480 BCE) with the Pre-Socratic philosophers. The philosopher Thales of Miletus (7th and 6th centuries BCE), dubbed "the Father of Science" for refusing to accept various supernatural, religious or mythological explanations for natural phenomena, proclaimed that every event had a natural cause. Thales also made advancements in 580 BCE by suggesting that water is the basic element, experimenting with the attraction between magnets and rubbed amber and formulating the first recorded cosmologies. Anaximander, famous for his proto-evolutionary theory, disputed the Thales' ideas and proposed that rather than water, a substance called apeiron was the building block of all matter. Around 500 BCE, Heraclitus proposed that the only basic law governing the Universe was the principle of change and that nothing remains in the same state indefinitely. This observation made him one of the first scholars in ancient physics to address the role of time in the universe, a key and sometimes contentious concept in modern and present-day physics. The early physicist Leucippus (fl. first half of the 5th century BCE) adamantly opposed the idea of direct divine intervention in the universe, proposing instead that natural phenomena had a natural cause. Leucippus and his student Democritus were the first to develop the theory of atomism, the idea that everything is composed entirely of various imperishable, indivisible elements called atoms. During the classical period in Greece (6th, 5th and 4th centuries BCE) and in Hellenistic times, natural philosophy slowly developed into an exciting and contentious field of study. Aristotle (Greek: Ἀριστοτέλης, Aristotélēs) (384 – 322 BCE), a student of Plato, promoted the concept that observation of physical phenomena could ultimately lead to the discovery of the natural laws governing them. Aristotle's writings cover physics, metaphysics, poetry, theater, music, logic, rhetoric, linguistics, politics, government, ethics, biology and zoology. 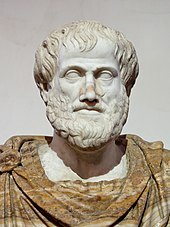 He wrote the first work which refers to that line of study as "Physics" – in the 4th century BCE, Aristotle founded the system known as Aristotelian physics. He attempted to explain ideas such as motion (and gravity) with the theory of four elements. Aristotle believed that all matter was made up of aether, or some combination of four elements: earth, water, air, and fire. According to Aristotle, these four terrestrial elements are capable of inter-transformation and move toward their natural place, so a stone falls downward toward the center of the cosmos, but flames rise upward toward the circumference. Eventually, Aristotelian physics became enormously popular for many centuries in Europe, informing the scientific and scholastic developments of the Middle Ages. It remained the mainstream scientific paradigm in Europe until the time of Galileo Galilei and Isaac Newton. Early in Classical Greece, knowledge that the Earth is spherical ("round") was common. Around 240 BCE, as the result a seminal experiment, Eratosthenes (276–194 BCE) accurately estimated its circumference. In contrast to Aristotle's geocentric views, Aristarchus of Samos (Greek: Ἀρίσταρχος; c.310 – c.230 BCE) presented an explicit argument for a heliocentric model of the Solar system, i.e. for placing the Sun, not the Earth, at its centre. Seleucus of Seleucia, a follower of Aristarchus' heliocentric theory, stated that the Earth rotated around its own axis, which, in turn, revolved around the Sun. Though the arguments he used were lost, Plutarch stated that Seleucus was the first to prove the heliocentric system through reasoning. In the 3rd century BCE, the Greek mathematician Archimedes of Syracuse (Greek: Ἀρχιμήδης (287–212 BCE) – generally considered to be the greatest mathematician of antiquity and one of the greatest of all time – laid the foundations of hydrostatics, statics and calculated the underlying mathematics of the lever. A leading scientist of classical antiquity, Archimedes also developed elaborate systems of pulleys to move large objects with a minimum of effort. The Archimedes' screw underpins modern hydroengineering, and his machines of war helped to hold back the armies of Rome in the First Punic War. 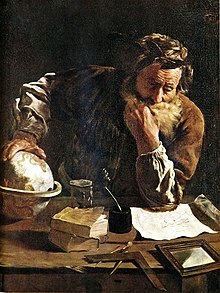 Archimedes even tore apart the arguments of Aristotle and his metaphysics, pointing out that it was impossible to separate mathematics and nature and proved it by converting mathematical theories into practical inventions. Furthermore, in his work On Floating Bodies, around 250 BCE, Archimedes developed the law of buoyancy, also known as Archimedes' principle. In mathematics, Archimedes used the method of exhaustion to calculate the area under the arc of a parabola with the summation of an infinite series, and gave a remarkably accurate approximation of pi. He also defined the spiral bearing his name, formulae for the volumes of surfaces of revolution and an ingenious system for expressing very large numbers. He also developed the principles of equilibrium states and centers of gravity, ideas that would influence the well known scholars, Galileo, and Newton. Hipparchus (190–120 BCE), focusing on astronomy and mathematics, used sophisticated geometrical techniques to map the motion of the stars and planets, even predicting the times that Solar eclipses would happen. In addition, he added calculations of the distance of the Sun and Moon from the Earth, based upon his improvements to the observational instruments used at that time. Another of the most famous of the early physicists was Ptolemy (90–168 CE), one of the leading minds during the time of the Roman Empire. Ptolemy was the author of several scientific treatises, at least three of which were of continuing importance to later Islamic and European science. The first is the astronomical treatise now known as the Almagest (in Greek, Ἡ Μεγάλη Σύνταξις, "The Great Treatise", originally Μαθηματικὴ Σύνταξις, "Mathematical Treatise"). The second is the Geography, which is a thorough discussion of the geographic knowledge of the Greco-Roman world. Much of the accumulated knowledge of the ancient world was lost. Even of the works of the better known thinkers, few fragments survived. Although he wrote at least fourteen books, almost nothing of Hipparchus' direct work survived. Of the 150 reputed Aristotelian works, only 30 exist, and some of those are "little more than lecture notes"[according to whom?]. Important physical and mathematical traditions also existed in ancient Chinese and Indian sciences. Star maps by the 11th-century Chinese polymath Su Song are the oldest known woodblock-printed star maps to have survived to the present day. This example, dated 1092,[note 1] employs cylindrical projection. In Indian philosophy, Maharishi Kanada was the first to systematically develop a theory of atomism around 200 BCE though some authors have allotted him an earlier era in the 6th century BCE. It was further elaborated by the Buddhist atomists Dharmakirti and Dignāga during the 1st millennium CE. Pakudha Kaccayana, a 6th-century BCE Indian philosopher and contemporary of Gautama Buddha, had also propounded ideas about the atomic constitution of the material world. These philosophers believed that other elements (except ether) were physically palpable and hence comprised minuscule particles of matter. The last minuscule particle of matter that could not be subdivided further was termed Parmanu. These philosophers considered the atom to be indestructible and hence eternal. The Buddhists thought atoms to be minute objects unable to be seen to the naked eye that come into being and vanish in an instant. The Vaisheshika school of philosophers believed that an atom was a mere point in space. It was also first to depict relations between motion and force applied. Indian theories about the atom are greatly abstract and enmeshed in philosophy as they were based on logic and not on personal experience or experimentation. In Indian astronomy, Aryabhata's Aryabhatiya (499 CE) proposed the Earth's rotation, while Nilakantha Somayaji (1444–1544) of the Kerala school of astronomy and mathematics proposed a semi-heliocentric model resembling the Tychonic system. The study of magnetism in Ancient China dates back to the 4th century BCE. (in the Book of the Devil Valley Master), A main contributor to this field was Shen Kuo (1031–1095), a polymath and statesman who was the first to describe the magnetic-needle compass used for navigation, as well as establishing the concept of true north. In optics, Shen Kuo independently developed a camera obscura. Ibn al-Haytham (c. 965–c. 1040). In the 7th to 15th centuries, scientific progress occurred in the Muslim world. Many classic works in Indian, Assyrian, Sassanian (Persian) and Greek, including the works of Aristotle, were translated into Arabic. Ibn Sīnā (980–1037), known as "Avicenna", was a polymath from Bukhara (in present-day Uzbekistan) responsible for important contributions to physics, optics, philosophy and medicine. He is most famous for writing The Canon of Medicine, a text that was used to teach student doctors in Europe until the 1600s. Important contributions were made by Ibn al-Haytham (965–1040), an Arab scientist, considered as one of the founders of modern optics. Ptolemy and Aristotle theorised that light either shone from the eye to illuminate objects or that light emanated from objects themselves, whereas al-Haytham (known by the Latin name Alhazen) suggested that light travels to the eye in rays from different points on an object. The works of Ibn al-Haytham and Abū Rayhān Bīrūnī, a Persian scientist, eventually passed on to Western Europe where they were studied by scholars such as Roger Bacon and Witelo. [note 2] Omar Khayyám (1048–1131), a Persian scientist, calculated the length of a solar year and was only out by a fraction of a second when compared to our modern day calculations. He used this to compose a calendar considered more accurate than the Gregorian calendar that came along 500 years later. He is classified as one of the world's first great science communicators, said, for example to have convinced a Sufi theologian that the world turns on an axis. 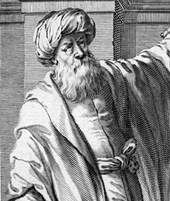 Nasir al-Din al-Tusi (1201–1274), a Persian astronomer and mathematician who died in Baghdad, authored the Treasury of Astronomy, a remarkably accurate table of planetary movements that reformed the existing planetary model of Roman astronomer Ptolemy by describing a uniform circular motion of all planets in their orbits. This work led to the later discovery, by one of his students, that planets actually have an elliptical orbit. Copernicus later drew heavily on the work of al-Din al-Tusi and his students, but without acknowledgment. The gradual chipping away of the Ptolemaic system paved the way for the revolutionary idea that the Earth actually orbited the Sun (heliocentrism). Awareness of ancient works re-entered the West through translations from Arabic to Latin. Their re-introduction, combined with Judeo-Islamic theological commentaries, had a great influence on Medieval philosophers such as Thomas Aquinas. Scholastic European scholars, who sought to reconcile the philosophy of the ancient classical philosophers with Christian theology, proclaimed Aristotle the greatest thinker of the ancient world. In cases where they didn't directly contradict the Bible, Aristotelian physics became the foundation for the physical explanations of the European Churches. Quantification became a core element of medieval physics. Based on Aristotelian physics, Scholastic physics described things as moving according to their essential nature. Celestial objects were described as moving in circles, because perfect circular motion was considered an innate property of objects that existed in the uncorrupted realm of the celestial spheres. The theory of impetus, the ancestor to the concepts of inertia and momentum, was developed along similar lines by medieval philosophers such as John Philoponus and Jean Buridan. Motions below the lunar sphere were seen as imperfect, and thus could not be expected to exhibit consistent motion. More idealized motion in the "sublunary" realm could only be achieved through artifice, and prior to the 17th century, many did not view artificial experiments as a valid means of learning about the natural world. Physical explanations in the sublunary realm revolved around tendencies. Stones contained the element earth, and earthly objects tended to move in a straight line toward the centre of the earth (and the universe in the Aristotelian geocentric view) unless otherwise prevented from doing so. During the 16th and 17th centuries, a large advancement of scientific progress known as the Scientific revolution took place in Europe. Dissatisfaction with older philosophical approaches had begun earlier and had produced other changes in society, such as the Protestant Reformation, but the revolution in science began when natural philosophers began to mount a sustained attack on the Scholastic philosophical programme and supposed that mathematical descriptive schemes adopted from such fields as mechanics and astronomy could actually yield universally valid characterizations of motion and other concepts. The Polish astronomer Nicolaus Copernicus (1473–1543) is remembered for his development of a heliocentric model of the Solar system. A breakthrough in astronomy was made by Polish astronomer Nicolaus Copernicus (1473–1543) when, in 1543, he gave strong arguments for the heliocentric model of the Solar system, ostensibly as a means to render tables charting planetary motion more accurate and to simplify their production. In heliocentric models of the Solar system, the Earth orbits the Sun along with other bodies in Earth's galaxy, a contradiction according to the Greek-Egyptian astronomer Ptolemy (2nd century CE; see above), whose system placed the Earth at the center of the Universe and had been accepted for over 1,400 years. The Greek astronomer Aristarchus of Samos (c.310 – c.230 BCE) had suggested that the Earth revolves around the Sun, but Copernicus' reasoning led to lasting general acceptance of this "revolutionary" idea. Copernicus' book presenting the theory (De revolutionibus orbium coelestium, "On the Revolutions of the Celestial Spheres") was published just before his death in 1543 and, as it is now generally considered to mark the beginning of modern astronomy, is also considered to mark the beginning of the Scientific revolution. Copernicus' new perspective, along with the accurate observations made by Tycho Brahe, enabled German astronomer Johannes Kepler (1571–1630) to formulate his laws regarding planetary motion that remain in use today. 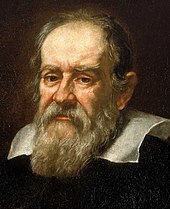 The Italian mathematician, astronomer, and physicist Galileo Galilei (1564–1642) was the central figure in the Scientific revolution and famous for his support for Copernicanism, his astronomical discoveries, empirical experiments and his improvement of the telescope. As a mathematician, Galileo's role in the university culture of his era was subordinated to the three major topics of study: law, medicine, and theology (which was closely allied to philosophy). Galileo, however, felt that the descriptive content of the technical disciplines warranted philosophical interest, particularly because mathematical analysis of astronomical observations – notably, Copernicus' analysis of the relative motions of the Sun, Earth, Moon, and planets – indicated that philosophers' statements about the nature of the universe could be shown to be in error. Galileo also performed mechanical experiments, insisting that motion itself – regardless of whether it was produced "naturally" or "artificially" (i.e. deliberately) – had universally consistent characteristics that could be described mathematically. Galileo's early studies at the University of Pisa were in medicine, but he was soon drawn to mathematics and physics. At 19, he discovered (and, subsequently, verified) the isochronal nature of the pendulum when, using his pulse, he timed the oscillations of a swinging lamp in Pisa's cathedral and found that it remained the same for each swing regardless of the swing's amplitude. He soon became known through his invention of a hydrostatic balance and for his treatise on the center of gravity of solid bodies. While teaching at the University of Pisa (1589–92), he initiated his experiments concerning the laws of bodies in motion that brought results so contradictory to the accepted teachings of Aristotle that strong antagonism was aroused. He found that bodies do not fall with velocities proportional to their weights. The famous story in which Galileo is said to have dropped weights from the Leaning Tower of Pisa is apocryphal, but he did find that the path of a projectile is a parabola and is credited with conclusions that anticipated Newton's laws of motion (e.g. the notion of inertia). Among these is what is now called Galilean relativity, the first precisely formulated statement about properties of space and time outside three-dimensional geometry. 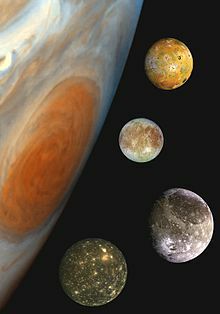 A composite montage comparing Jupiter (lefthand side) and its four Galilean moons (top to bottom: Io, Europa, Ganymede, Callisto). Galileo has been called the "father of modern observational astronomy", the "father of modern physics", the "father of science", and "the father of modern science". According to Stephen Hawking, "Galileo, perhaps more than any other single person, was responsible for the birth of modern science." As religious orthodoxy decreed a geocentric or Tychonic understanding of the Solar system, Galileo's support for heliocentrism provoked controversy and he was tried by the Inquisition. Found "vehemently suspect of heresy", he was forced to recant and spent the rest of his life under house arrest. The contributions that Galileo made to observational astronomy include the telescopic confirmation of the phases of Venus; his discovery, in 1609, of Jupiter's four largest moons (subsequently given the collective name of the "Galilean moons"); and the observation and analysis of sunspots. Galileo also pursued applied science and technology, inventing, among other instruments, a military compass. His discovery of the Jovian moons was published in 1610 and enabled him to obtain the position of mathematician and philosopher to the Medici court. As such, he was expected to engage in debates with philosophers in the Aristotelian tradition and received a large audience for his own publications such as the Discourses and Mathematical Demonstrations Concerning Two New Sciences (published abroad following his arrest for the publication of Dialogue Concerning the Two Chief World Systems) and The Assayer. Galileo's interest in experimenting with and formulating mathematical descriptions of motion established experimentation as an integral part of natural philosophy. This tradition, combining with the non-mathematical emphasis on the collection of "experimental histories" by philosophical reformists such as William Gilbert and Francis Bacon, drew a significant following in the years leading up to and following Galileo's death, including Evangelista Torricelli and the participants in the Accademia del Cimento in Italy; Marin Mersenne and Blaise Pascal in France; Christiaan Huygens in the Netherlands; and Robert Hooke and Robert Boyle in England. 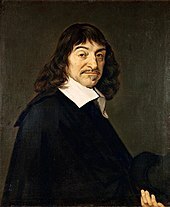 The French philosopher René Descartes (1596–1650) was well-connected to, and influential within, the experimental philosophy networks of the day. Descartes had a more ambitious agenda, however, which was geared toward replacing the Scholastic philosophical tradition altogether. Questioning the reality interpreted through the senses, Descartes sought to re-establish philosophical explanatory schemes by reducing all perceived phenomena to being attributable to the motion of an invisible sea of "corpuscles". (Notably, he reserved human thought and God from his scheme, holding these to be separate from the physical universe). In proposing this philosophical framework, Descartes supposed that different kinds of motion, such as that of planets versus that of terrestrial objects, were not fundamentally different, but were merely different manifestations of an endless chain of corpuscular motions obeying universal principles. Particularly influential were his explanations for circular astronomical motions in terms of the vortex motion of corpuscles in space (Descartes argued, in accord with the beliefs, if not the methods, of the Scholastics, that a vacuum could not exist), and his explanation of gravity in terms of corpuscles pushing objects downward. Descartes, like Galileo, was convinced of the importance of mathematical explanation, and he and his followers were key figures in the development of mathematics and geometry in the 17th century. 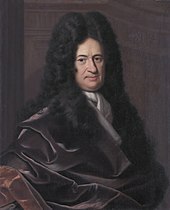 Cartesian mathematical descriptions of motion held that all mathematical formulations had to be justifiable in terms of direct physical action, a position held by Huygens and the German philosopher Gottfried Leibniz, who, while following in the Cartesian tradition, developed his own philosophical alternative to Scholasticism, which he outlined in his 1714 work, The Monadology. Descartes has been dubbed the 'Father of Modern Philosophy', and much subsequent Western philosophy is a response to his writings, which are studied closely to this day. In particular, his Meditations on First Philosophy continues to be a standard text at most university philosophy departments. Descartes' influence in mathematics is equally apparent; the Cartesian coordinate system — allowing algebraic equations to be expressed as geometric shapes in a two-dimensional coordinate system — was named after him. He is credited as the father of analytical geometry, the bridge between algebra and geometry, important to the discovery of calculus and analysis. The late 17th and early 18th centuries saw the achievements of the greatest figure of the Scientific revolution: Cambridge University physicist and mathematician Sir Isaac Newton (1642-1727), considered by many to be the greatest and most influential scientist who ever lived. Newton, a fellow of the Royal Society of England, combined his own discoveries in mechanics and astronomy to earlier ones to create a single system for describing the workings of the universe. Newton formulated three laws of motion which formulated the relationship between motion and objects and also the law of universal gravitation, the latter of which could be used to explain the behavior not only of falling bodies on the earth but also planets and other celestial bodies. To arrive at his results, Newton invented one form of an entirely new branch of mathematics: calculus (also invented independently by Gottfried Leibniz), which was to become an essential tool in much of the later development in most branches of physics. Newton's findings were set forth in his Philosophiæ Naturalis Principia Mathematica ("Mathematical Principles of Natural Philosophy"), the publication of which in 1687 marked the beginning of the modern period of mechanics and astronomy. Newton was able to refute the Cartesian mechanical tradition that all motions should be explained with respect to the immediate force exerted by corpuscles. Using his three laws of motion and law of universal gravitation, Newton removed the idea that objects followed paths determined by natural shapes and instead demonstrated that not only regularly observed paths, but all the future motions of any body could be deduced mathematically based on knowledge of their existing motion, their mass, and the forces acting upon them. However, observed celestial motions did not precisely conform to a Newtonian treatment, and Newton, who was also deeply interested in theology, imagined that God intervened to ensure the continued stability of the solar system. Newton's principles (but not his mathematical treatments) proved controversial with Continental philosophers, who found his lack of metaphysical explanation for movement and gravitation philosophically unacceptable. Beginning around 1700, a bitter rift opened between the Continental and British philosophical traditions, which were stoked by heated, ongoing, and viciously personal disputes between the followers of Newton and Leibniz concerning priority over the analytical techniques of calculus, which each had developed independently. Initially, the Cartesian and Leibnizian traditions prevailed on the Continent (leading to the dominance of the Leibnizian calculus notation everywhere except Britain). Newton himself remained privately disturbed at the lack of a philosophical understanding of gravitation while insisting in his writings that none was necessary to infer its reality. As the 18th century progressed, Continental natural philosophers increasingly accepted the Newtonians' willingness to forgo ontological metaphysical explanations for mathematically described motions. Newton built the first functioning reflecting telescope and developed a theory of color, published in Opticks, based on the observation that a prism decomposes white light into the many colours forming the visible spectrum. While Newton explained light as being composed of tiny particles, a rival theory of light which explained its behavior in terms of waves was presented in 1690 by Christiaan Huygens. However, the belief in the mechanistic philosophy coupled with Newton's reputation meant that the wave theory saw relatively little support until the 19th century. Newton also formulated an empirical law of cooling, studied the speed of sound, investigated power series, demonstrated the generalised binomial theorem and developed a method for approximating the roots of a function. His work on infinite series was inspired by Simon Stevin's decimals. Most importantly, Newton showed that the motions of objects on Earth and of celestial bodies are governed by the same set of natural laws, which were neither capricious nor malevolent. By demonstrating the consistency between Kepler's laws of planetary motion and his own theory of gravitation, Newton also removed the last doubts about heliocentrism. 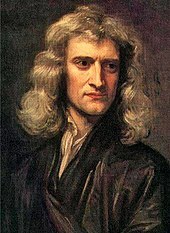 By bringing together all the ideas set forth during the Scientific revolution, Newton effectively established the foundation for modern society in mathematics and science. Other branches of physics also received attention during the period of the Scientific revolution. William Gilbert, court physician to Queen Elizabeth I, published an important work on magnetism in 1600, describing how the earth itself behaves like a giant magnet. Robert Boyle (1627–91) studied the behavior of gases enclosed in a chamber and formulated the gas law named for him; he also contributed to physiology and to the founding of modern chemistry. Another important factor in the scientific revolution was the rise of learned societies and academies in various countries. The earliest of these were in Italy and Germany and were short-lived. More influential were the Royal Society of England (1660) and the Academy of Sciences in France (1666). The former was a private institution in London and included such scientists as John Wallis, William Brouncker, Thomas Sydenham, John Mayow, and Christopher Wren (who contributed not only to architecture but also to astronomy and anatomy); the latter, in Paris, was a government institution and included as a foreign member the Dutchman Huygens. In the 18th century, important royal academies were established at Berlin (1700) and at St. Petersburg (1724). The societies and academies provided the principal opportunities for the publication and discussion of scientific results during and after the scientific revolution. In 1690, James Bernoulli showed that the cycloid is the solution to the tautochrone problem; and the following year, in 1691, Johann Bernoulli showed that a chain freely suspended from two points will form a catenary, the curve with the lowest possible center of gravity available to any chain hung between two fixed points. He then showed, in 1696, that the cycloid is the solution to the brachistochrone problem. A precursor of the engine was designed by the German scientist Otto von Guericke who, in 1650, designed and built the world's first vacuum pump and created the world's first ever vacuum known as the Magdeburg hemispheres experiment. He was driven to make a vacuum to disprove Aristotle's long-held supposition that 'Nature abhors a vacuum'. Shortly thereafter, Irish physicist and chemist Boyle had learned of Guericke's designs and in 1656, in coordination with English scientist Robert Hooke, built an air pump. Using this pump, Boyle and Hooke noticed the pressure-volume correlation for a gas: PV = k, where P is pressure, V is volume and k is a constant: this relationship is known as Boyle's Law. In that time, air was assumed to be a system of motionless particles, and not interpreted as a system of moving molecules. The concept of thermal motion came two centuries later. Therefore, Boyle's publication in 1660 speaks about a mechanical concept: the air spring. Later, after the invention of the thermometer, the property temperature could be quantified. This tool gave Gay-Lussac the opportunity to derive his law, which led shortly later to the ideal gas law. But, already before the establishment of the ideal gas law, an associate of Boyle's named Denis Papin built in 1679 a bone digester, which is a closed vessel with a tightly fitting lid that confines steam until a high pressure is generated. Later designs implemented a steam release valve to keep the machine from exploding. By watching the valve rhythmically move up and down, Papin conceived of the idea of a piston and cylinder engine. He did not however follow through with his design. Nevertheless, in 1697, based on Papin's designs, engineer Thomas Savery built the first engine. Although these early engines were crude and inefficient, they attracted the attention of the leading scientists of the time. Hence, prior to 1698 and the invention of the Savery Engine, horses were used to power pulleys, attached to buckets, which lifted water out of flooded salt mines in England. In the years to follow, more variations of steam engines were built, such as the Newcomen Engine, and later the Watt Engine. In time, these early engines would eventually be utilized in place of horses. Thus, each engine began to be associated with a certain amount of "horse power" depending upon how many horses it had replaced. The main problem with these first engines was that they were slow and clumsy, converting less than 2% of the input fuel into useful work. In other words, large quantities of coal (or wood) had to be burned to yield only a small fraction of work output. Hence the need for a new science of engine dynamics was born. During the 18th century, the mechanics founded by Newton was developed by several scientists as more mathematicians learned calculus and elaborated upon its initial formulation. The application of mathematical analysis to problems of motion was known as rational mechanics, or mixed mathematics (and was later termed classical mechanics). In 1714, Brook Taylor derived the fundamental frequency of a stretched vibrating string in terms of its tension and mass per unit length by solving a differential equation. The Swiss mathematician Daniel Bernoulli (1700–1782) made important mathematical studies of the behavior of gases, anticipating the kinetic theory of gases developed more than a century later, and has been referred to as the first mathematical physicist. In 1733, Daniel Bernoulli derived the fundamental frequency and harmonics of a hanging chain by solving a differential equation. In 1734, Bernoulli solved the differential equation for the vibrations of an elastic bar clamped at one end. Bernoulli's treatment of fluid dynamics and his examination of fluid flow was introduced in his 1738 work Hydrodynamica. Rational mechanics dealt primarily with the development of elaborate mathematical treatments of observed motions, using Newtonian principles as a basis, and emphasized improving the tractability of complex calculations and developing of legitimate means of analytical approximation. A representative contemporary textbook was published by Johann Baptiste Horvath. By the end of the century analytical treatments were rigorous enough to verify the stability of the solar system solely on the basis of Newton's laws without reference to divine intervention—even as deterministic treatments of systems as simple as the three body problem in gravitation remained intractable. In 1705, Edmond Halley predicted the periodicity of Halley's Comet, William Herschel discovered Uranus in 1781, and Henry Cavendish measured the gravitational constant and determined the mass of the Earth in 1798. In 1783, John Michell suggested that some objects might be so massive that not even light could escape from them. In 1739, Leonhard Euler solved the ordinary differential equation for a forced harmonic oscillator and noticed the resonance phenomenon. In 1742, Colin Maclaurin discovered his uniformly rotating self-gravitating spheroids. In 1742, Benjamin Robins published his New Principles in Gunnery, establishing the science of aerodynamics. British work, carried on by mathematicians such as Taylor and Maclaurin, fell behind Continental developments as the century progressed. Meanwhile, work flourished at scientific academies on the Continent, led by such mathematicians as Bernoulli, Euler, Lagrange, Laplace, and Legendre. In 1743, Jean le Rond d'Alembert published his Traite de Dynamique, in which he introduced the concept of generalized forces for accelerating systems and systems with constraints, and applied the new idea of virtual work to solve dynamical problem, now known as D'Alembert's principle, as a rival to Newton's second law of motion. In 1747, Pierre Louis Maupertuis applied minimum principles to mechanics. In 1759, Euler solved the partial differential equation for the vibration of a rectangular drum. In 1764, Euler examined the partial differential equation for the vibration of a circular drum and found one of the Bessel function solutions. In 1776, John Smeaton published a paper on experiments relating power, work, momentum and kinetic energy, and supporting the conservation of energy. In 1788, Joseph Louis Lagrange presented Lagrange's equations of motion in Mécanique Analytique, in which the whole of mechanics was organized around the principle of virtual work. In 1789, Antoine Lavoisier states the law of conservation of mass. The rational mechanics developed in the 18th century received a brilliant exposition in both Lagrange's 1788 work and the Celestial Mechanics (1799–1825) of Pierre-Simon Laplace. During the 18th century, thermodynamics was developed through the theories of weightless "imponderable fluids", such as heat ("caloric"), electricity, and phlogiston (which was rapidly overthrown as a concept following Lavoisier's identification of oxygen gas late in the century). Assuming that these concepts were real fluids, their flow could be traced through a mechanical apparatus or chemical reactions. This tradition of experimentation led to the development of new kinds of experimental apparatus, such as the Leyden Jar; and new kinds of measuring instruments, such as the calorimeter, and improved versions of old ones, such as the thermometer. Experiments also produced new concepts, such as the University of Glasgow experimenter Joseph Black's notion of latent heat and Philadelphia intellectual Benjamin Franklin's characterization of electrical fluid as flowing between places of excess and deficit (a concept later reinterpreted in terms of positive and negative charges). Franklin also showed that lightning is electricity in 1752. The accepted theory of heat in the 18th century viewed it as a kind of fluid, called caloric; although this theory was later shown to be erroneous, a number of scientists adhering to it nevertheless made important discoveries useful in developing the modern theory, including Joseph Black (1728–99) and Henry Cavendish (1731–1810). Opposed to this caloric theory, which had been developed mainly by the chemists, was the less accepted theory dating from Newton's time that heat is due to the motions of the particles of a substance. This mechanical theory gained support in 1798 from the cannon-boring experiments of Count Rumford (Benjamin Thompson), who found a direct relationship between heat and mechanical energy. While it was recognized early in the 18th century that finding absolute theories of electrostatic and magnetic force akin to Newton's principles of motion would be an important achievement, none were forthcoming. This impossibility only slowly disappeared as experimental practice became more widespread and more refined in the early years of the 19th century in places such as the newly established Royal Institution in London. Meanwhile, the analytical methods of rational mechanics began to be applied to experimental phenomena, most influentially with the French mathematician Joseph Fourier's analytical treatment of the flow of heat, as published in 1822. Joseph Priestley proposed an electrical inverse-square law in 1767, and Charles-Augustin de Coulomb introduced the inverse-square law of electrostatics in 1798. At the end of the century, the members of the French Academy of Sciences had attained clear dominance in the field. At the same time, the experimental tradition established by Galileo and his followers persisted. The Royal Society and the French Academy of Sciences were major centers for the performance and reporting of experimental work. Experiments in mechanics, optics, magnetism, static electricity, chemistry, and physiology were not clearly distinguished from each other during the 18th century, but significant differences in explanatory schemes and, thus, experiment design were emerging. Chemical experimenters, for instance, defied attempts to enforce a scheme of abstract Newtonian forces onto chemical affiliations, and instead focused on the isolation and classification of chemical substances and reactions. 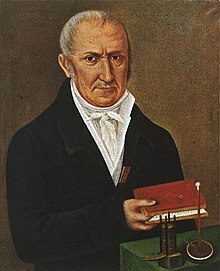 In 1800, Alessandro Volta invented the electric battery (known of the voltaic pile) and thus improved the way electric currents could also be studied. A year later, Thomas Young demonstrated the wave nature of light—which received strong experimental support from the work of Augustin-Jean Fresnel—and the principle of interference. In 1813, Peter Ewart supported the idea of the conservation of energy in his paper On the measure of moving force. In 1820, Hans Christian Ørsted found that a current-carrying conductor gives rise to a magnetic force surrounding it, and within a week after Ørsted's discovery reached France, André-Marie Ampère discovered that two parallel electric currents will exert forces on each other. In 1821, William Hamilton began his analysis of Hamilton's characteristic function. In 1821, Michael Faraday built an electricity-powered motor, while Georg Ohm stated his law of electrical resistance in 1826, expressing the relationship between voltage, current, and resistance in an electric circuit. A year later, botanist Robert Brown discovered Brownian motion: pollen grains in water undergoing movement resulting from their bombardment by the fast-moving atoms or molecules in the liquid. In 1829, Gaspard Coriolis introduced the terms of work (force times distance) and kinetic energy with the meanings they have today. 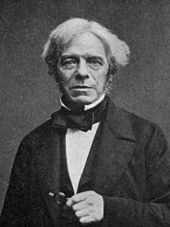 In 1831, Faraday (and independently Joseph Henry) discovered the reverse effect, the production of an electric potential or current through magnetism – known as electromagnetic induction; these two discoveries are the basis of the electric motor and the electric generator, respectively. In 1834, Carl Jacobi discovered his uniformly rotating self-gravitating ellipsoids (the Jacobi ellipsoid). In 1834, John Russell observed a nondecaying solitary water wave (soliton) in the Union Canal near Edinburgh and used a water tank to study the dependence of solitary water wave velocities on wave amplitude and water depth. In 1835, William Hamilton stated Hamilton's canonical equations of motion. In the same year, Gaspard Coriolis examined theoretically the mechanical efficiency of waterwheels, and deduced the Coriolis effect. In 1841, Julius Robert von Mayer, an amateur scientist, wrote a paper on the conservation of energy but his lack of academic training led to its rejection. In 1842, Christian Doppler proposed the Doppler effect. In 1847, Hermann von Helmholtz formally stated the law of conservation of energy. In 1851, Léon Foucault showed the Earth's rotation with a huge pendulum (Foucault pendulum). There were important advances in continuum mechanics in the first half of the century, namely formulation of laws of elasticity for solids and discovery of Navier–Stokes equations for fluids. In the 19th century, the connection between heat and mechanical energy was established quantitatively by Julius Robert von Mayer and James Prescott Joule, who measured the mechanical equivalent of heat in the 1840s. In 1849, Joule published results from his series of experiments (including the paddlewheel experiment) which show that heat is a form of energy, a fact that was accepted in the 1850s. The relation between heat and energy was important for the development of steam engines, and in 1824 the experimental and theoretical work of Sadi Carnot was published. Carnot captured some of the ideas of thermodynamics in his discussion of the efficiency of an idealized engine. Sadi Carnot's work provided a basis for the formulation of the first law of thermodynamics—a restatement of the law of conservation of energy—which was stated around 1850 by William Thomson, later known as Lord Kelvin, and Rudolf Clausius. 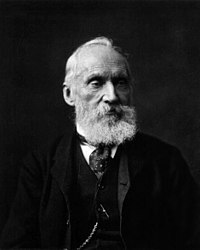 Lord Kelvin, who had extended the concept of absolute zero from gases to all substances in 1848, drew upon the engineering theory of Lazare Carnot, Sadi Carnot, and Émile Clapeyron–as well as the experimentation of James Prescott Joule on the interchangeability of mechanical, chemical, thermal, and electrical forms of work—to formulate the first law. Kelvin and Clausius also stated the second law of thermodynamics, which was originally formulated in terms of the fact that heat does not spontaneously flow from a colder body to a hotter. Other formulations followed quickly (for example, the second law was expounded in Thomson and Peter Guthrie Tait's influential work Treatise on Natural Philosophy) and Kelvin in particular understood some of the law's general implications. The second Law was the idea that gases consist of molecules in motion had been discussed in some detail by Daniel Bernoulli in 1738, but had fallen out of favor, and was revived by Clausius in 1857. In 1850, Hippolyte Fizeau and Léon Foucault measured the speed of light in water and find that it is slower than in air, in support of the wave model of light. In 1852, Joule and Thomson demonstrated that a rapidly expanding gas cools, later named the Joule–Thomson effect or Joule–Kelvin effect. Hermann von Helmholtz puts forward the idea of the heat death of the universe in 1854, the same year that Clausius established the importance of dQ/T (Clausius's theorem) (though he did not yet name the quantity). In 1859, James Clerk Maxwell discovered the distribution law of molecular velocities. Maxwell showed that electric and magnetic fields are propagated outward from their source at a speed equal to that of light and that light is one of several kinds of electromagnetic radiation, differing only in frequency and wavelength from the others. In 1859, Maxwell worked out the mathematics of the distribution of velocities of the molecules of a gas. The wave theory of light was widely accepted by the time of Maxwell's work on the electromagnetic field, and afterward the study of light and that of electricity and magnetism were closely related. In 1864 James Maxwell published his papers on a dynamical theory of the electromagnetic field, and stated that light is an electromagnetic phenomenon in the 1873 publication of Maxwell's Treatise on Electricity and Magnetism. This work drew upon theoretical work by German theoreticians such as Carl Friedrich Gauss and Wilhelm Weber. The encapsulation of heat in particulate motion, and the addition of electromagnetic forces to Newtonian dynamics established an enormously robust theoretical underpinning to physical observations. The prediction that light represented a transmission of energy in wave form through a "luminiferous ether", and the seeming confirmation of that prediction with Helmholtz student Heinrich Hertz's 1888 detection of electromagnetic radiation, was a major triumph for physical theory and raised the possibility that even more fundamental theories based on the field could soon be developed. Experimental confirmation of Maxwell's theory was provided by Hertz, who generated and detected electric waves in 1886 and verified their properties, at the same time foreshadowing their application in radio, television, and other devices. In 1887, Heinrich Hertz discovered the photoelectric effect. Research on the electromagnetic waves began soon after, with many scientists and inventors conducting experiments on their properties. In the mid to late 1890s Guglielmo Marconi developed a radio wave based wireless telegraphy system (see invention of radio). The atomic theory of matter had been proposed again in the early 19th century by the chemist John Dalton and became one of the hypotheses of the kinetic-molecular theory of gases developed by Clausius and James Clerk Maxwell to explain the laws of thermodynamics. The kinetic theory in turn led to a revolutionary approach to science, the statistical mechanics of Ludwig Boltzmann (1844–1906) and Josiah Willard Gibbs (1839–1903), which studies the statistics of microstates of a system and uses statistics to determine the state of a physical system. Interrelating the statistical likelihood of certain states of organization of these particles with the energy of those states, Clausius reinterpreted the dissipation of energy to be the statistical tendency of molecular configurations to pass toward increasingly likely, increasingly disorganized states (coining the term "entropy" to describe the disorganization of a state). The statistical versus absolute interpretations of the second law of thermodynamics set up a dispute that would last for several decades (producing arguments such as "Maxwell's demon"), and that would not be held to be definitively resolved until the behavior of atoms was firmly established in the early 20th century. In 1902, James Jeans found the length scale required for gravitational perturbations to grow in a static nearly homogeneous medium. At the end of the 19th century, physics had evolved to the point at which classical mechanics could cope with highly complex problems involving macroscopic situations; thermodynamics and kinetic theory were well established; geometrical and physical optics could be understood in terms of electromagnetic waves; and the conservation laws for energy and momentum (and mass) were widely accepted. So profound were these and other developments that it was generally accepted that all the important laws of physics had been discovered and that, henceforth, research would be concerned with clearing up minor problems and particularly with improvements of method and measurement. However, around 1900 serious doubts arose about the completeness of the classical theories—the triumph of Maxwell's theories, for example, was undermined by inadequacies that had already begun to appear—and their inability to explain certain physical phenomena, such as the energy distribution in blackbody radiation and the photoelectric effect, while some of the theoretical formulations led to paradoxes when pushed to the limit. Prominent physicists such as Hendrik Lorentz, Emil Cohn, Ernst Wiechert and Wilhelm Wien believed that some modification of Maxwell's equations might provide the basis for all physical laws. These shortcomings of classical physics were never to be resolved and new ideas were required. At the beginning of the 20th century a major revolution shook the world of physics, which led to a new era, generally referred to as modern physics. J. J. Thomson (1856–1940) discovered the electron and isotopy and also invented the mass spectrometer. He was awarded the Nobel Prize in Physics in 1906. In the 19th century, experimenters began to detect unexpected forms of radiation: Wilhelm Röntgen caused a sensation with his discovery of X-rays in 1895; in 1896 Henri Becquerel discovered that certain kinds of matter emit radiation on their own accord. In 1897, J. J. Thomson discovered the electron, and new radioactive elements found by Marie and Pierre Curie raised questions about the supposedly indestructible atom and the nature of matter. Marie and Pierre coined the term "radioactivity" to describe this property of matter, and isolated the radioactive elements radium and polonium. Ernest Rutherford and Frederick Soddy identified two of Becquerel's forms of radiation with electrons and the element helium. Rutherford identified and named two types of radioactivity and in 1911 interpreted experimental evidence as showing that the atom consists of a dense, positively charged nucleus surrounded by negatively charged electrons. Classical theory, however, predicted that this structure should be unstable. Classical theory had also failed to explain successfully two other experimental results that appeared in the late 19th century. One of these was the demonstration by Albert A. Michelson and Edward W. Morley—known as the Michelson–Morley experiment—which showed there did not seem to be a preferred frame of reference, at rest with respect to the hypothetical luminiferous ether, for describing electromagnetic phenomena. Studies of radiation and radioactive decay continued to be a preeminent focus for physical and chemical research through the 1930s, when the discovery of nuclear fission opened the way to the practical exploitation of what came to be called "atomic" energy. In 1905 a young, 26-year-old German physicist (then a Bern patent clerk) named Albert Einstein (1879–1955), showed how measurements of time and space are affected by motion between an observer and what is being observed. To say that Einstein's radical theory of relativity revolutionized science is no exaggeration. Although Einstein made many other important contributions to science, the theory of relativity alone represents one of the greatest intellectual achievements of all time. 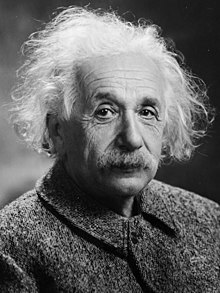 Although the concept of relativity was not introduced by Einstein, his major contribution was the recognition that the speed of light in a vacuum is constant, i.e. the same for all observers, and an absolute physical boundary for motion. This does not impact a person's day-to-day life since most objects travel at speeds much slower than light speed. For objects travelling near light speed, however, the theory of relativity shows that clocks associated with those objects will run more slowly and that the objects shorten in length according to measurements of an observer on Earth. Einstein also derived the famous equation, E = mc2, which expresses the equivalence of mass and energy. Albert Einstein (1879–1955) proposed that gravitation was a result of masses (or their equivalent energies) curving ("bending") the spacetime in which they exist, altering the paths they follow within it. Einstein argued that the speed of light was a constant in all inertial reference frames and that electromagnetic laws should remain valid independent of reference frame—assertions which rendered the ether "superfluous" to physical theory, and that held that observations of time and length varied relative to how the observer was moving with respect to the object being measured (what came to be called the "special theory of relativity"). It also followed that mass and energy were interchangeable quantities according to the equation E=mc2. In another paper published the same year, Einstein asserted that electromagnetic radiation was transmitted in discrete quantities ("quanta"), according to a constant that the theoretical physicist Max Planck had posited in 1900 to arrive at an accurate theory for the distribution of blackbody radiation—an assumption that explained the strange properties of the photoelectric effect. The special theory of relativity is a formulation of the relationship between physical observations and the concepts of space and time. The theory arose out of contradictions between electromagnetism and Newtonian mechanics and had great impact on both those areas. The original historical issue was whether it was meaningful to discuss the electromagnetic wave-carrying "ether" and motion relative to it and also whether one could detect such motion, as was unsuccessfully attempted in the Michelson–Morley experiment. Einstein demolished these questions and the ether concept in his special theory of relativity. However, his basic formulation does not involve detailed electromagnetic theory. It arises out of the question: "What is time?" Newton, in the Principia (1686), had given an unambiguous answer: "Absolute, true, and mathematical time, of itself, and from its own nature, flows equably without relation to anything external, and by another name is called duration." This definition is basic to all classical physics. Einstein had the genius to question it, and found that it was incomplete. Instead, each "observer" necessarily makes use of his or her own scale of time, and for two observers in relative motion, their time-scales will differ. This induces a related effect on position measurements. Space and time become intertwined concepts, fundamentally dependent on the observer. Each observer presides over his or her own space-time framework or coordinate system. There being no absolute frame of reference, all observers of given events make different but equally valid (and reconcilable) measurements. What remains absolute is stated in Einstein's relativity postulate: "The basic laws of physics are identical for two observers who have a constant relative velocity with respect to each other." Special Relativity had a profound effect on physics: started as a rethinking of the theory of electromagnetism, it found a new symmetry law of nature, now called Poincaré symmetry, that replaced the old Galilean (see above) symmetry. Special Relativity exerted another long-lasting effect on dynamics. Although initially it was credited with the "unification of mass and energy", it became evident that relativistic dynamics established a firm distinction between rest mass, which is an invariant (observer independent) property of a particle or system of particles, and the energy and momentum of a system. The latter two are separately conserved in all situations but not invariant with respect to different observers. The term mass in particle physics underwent a semantic change, and since the late 20th century it almost exclusively denotes the rest (or invariant) mass. See mass in special relativity for additional discussion. By 1916, Einstein was able to generalize this further, to deal with all states of motion including non-uniform acceleration, which became the general theory of relativity. In this theory Einstein also specified a new concept, the curvature of space-time, which described the gravitational effect at every point in space. In fact, the curvature of space-time completely replaced Newton's universal law of gravitation. According to Einstein, gravitational force in the normal sense is a kind of illusion caused by the geometry of space. The presence of a mass causes a curvature of space-time in the vicinity of the mass, and this curvature dictates the space-time path that all freely-moving objects must follow. It was also predicted from this theory that light should be subject to gravity - all of which was verified experimentally. This aspect of relativity explained the phenomena of light bending around the sun, predicted black holes as well as properties of the Cosmic microwave background radiation — a discovery rendering fundamental anomalies in the classic Steady-State hypothesis. For his work on relativity, the photoelectric effect and blackbody radiation, Einstein received the Nobel Prize in 1921. The gradual acceptance of Einstein's theories of relativity and the quantized nature of light transmission, and of Niels Bohr's model of the atom created as many problems as they solved, leading to a full-scale effort to reestablish physics on new fundamental principles. Expanding relativity to cases of accelerating reference frames (the "general theory of relativity") in the 1910s, Einstein posited an equivalence between the inertial force of acceleration and the force of gravity, leading to the conclusion that space is curved and finite in size, and the prediction of such phenomena as gravitational lensing and the distortion of time in gravitational fields. Although relativity resolved the electromagnetic phenomena conflict demonstrated by Michelson and Morley, a second theoretical problem was the explanation of the distribution of electromagnetic radiation emitted by a black body; experiment showed that at shorter wavelengths, toward the ultraviolet end of the spectrum, the energy approached zero, but classical theory predicted it should become infinite. This glaring discrepancy, known as the ultraviolet catastrophe, was solved by the new theory of quantum mechanics. Quantum mechanics is the theory of atoms and subatomic systems. Approximately the first 30 years of the 20th century represent the time of the conception and evolution of the theory. The basic ideas of quantum theory were introduced in 1900 by Max Planck (1858–1947), who was awarded the Nobel Prize for Physics in 1918 for his discovery of the quantified nature of energy. The quantum theory (which previously relied in the "correspondence" at large scales between the quantized world of the atom and the continuities of the "classical" world) was accepted when the Compton Effect established that light carries momentum and can scatter off particles, and when Louis de Broglie asserted that matter can be seen as behaving as a wave in much the same way as electromagnetic waves behave like particles (wave–particle duality). In 1905, Einstein used the quantum theory to explain the photoelectric effect, and in 1913 the Danish physicist Niels Bohr used the same constant to explain the stability of Rutherford's atom as well as the frequencies of light emitted by hydrogen gas. The quantized theory of the atom gave way to a full-scale quantum mechanics in the 1920s. New principles of a "quantum" rather than a "classical" mechanics, formulated in matrix-form by Werner Heisenberg, Max Born, and Pascual Jordan in 1925, were based on the probabilistic relationship between discrete "states" and denied the possibility of causality. Quantum mechanics was extensively developed by Heisenberg, Wolfgang Pauli, Paul Dirac, and Erwin Schrödinger, who established an equivalent theory based on waves in 1926; but Heisenberg's 1927 "uncertainty principle" (indicating the impossibility of precisely and simultaneously measuring position and momentum) and the "Copenhagen interpretation" of quantum mechanics (named after Bohr's home city) continued to deny the possibility of fundamental causality, though opponents such as Einstein would metaphorically assert that "God does not play dice with the universe". The new quantum mechanics became an indispensable tool in the investigation and explanation of phenomena at the atomic level. Also in the 1920s, the Indian scientist Satyendra Nath Bose's work on photons and quantum mechanics provided the foundation for Bose–Einstein statistics, the theory of the Bose–Einstein condensate. The spin–statistics theorem established that any particle in quantum mechanics may be either a boson (statistically Bose–Einstein) or a fermion (statistically Fermi–Dirac). It was later found that all fundamental bosons transmit forces, such as the photon that transmits electromagnetism. Fermions are particles "like electrons and nucleons" and are the usual constituents of matter. Fermi–Dirac statistics later found numerous other uses, from astrophysics (see Degenerate matter) to semiconductor design. 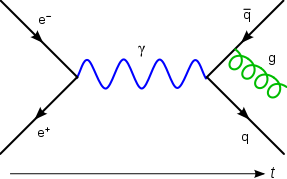 A Feynman diagram representing (left to right) the production of a photon (blue sine wave) from the annihilation of an electron and its complementary antiparticle, the positron. The photon becomes a quark–antiquark pair and a gluon (green spiral) is released. As the philosophically inclined continued to debate the fundamental nature of the universe, quantum theories continued to be produced, beginning with Paul Dirac's formulation of a relativistic quantum theory in 1928. However, attempts to quantize electromagnetic theory entirely were stymied throughout the 1930s by theoretical formulations yielding infinite energies. This situation was not considered adequately resolved until after World War II ended, when Julian Schwinger, Richard Feynman and Sin-Itiro Tomonaga independently posited the technique of renormalization, which allowed for an establishment of a robust quantum electrodynamics (QED). Meanwhile, new theories of fundamental particles proliferated with the rise of the idea of the quantization of fields through "exchange forces" regulated by an exchange of short-lived "virtual" particles, which were allowed to exist according to the laws governing the uncertainties inherent in the quantum world. Notably, Hideki Yukawa proposed that the positive charges of the nucleus were kept together courtesy of a powerful but short-range force mediated by a particle with a mass between that of the electron and proton. This particle, the "pion", was identified in 1947 as part of what became a slew of particles discovered after World War II. Initially, such particles were found as ionizing radiation left by cosmic rays, but increasingly came to be produced in newer and more powerful particle accelerators. the theoretical and experimental research of superconductivity, especially the invention of a quantum theory of superconductivity by Vitaly Ginzburg and Lev Landau (1962 Nobel Prize in Physics) and, later, its explanation via Cooper pairs (1972 Nobel Prize in Physics). The Cooper pair was an early example of quasiparticles. Einstein deemed that all fundamental interactions in nature can be explained in a single theory. Unified field theories were numerous attempts to "merge" several interactions. One of formulations of such theories (as well as field theories in general) is a gauge theory, a generalization of the idea of symmetry. Eventually the Standard Model (see below) succeeded in unification of strong, weak, and electromagnetic interactions. All attempts to unify gravitation with something else failed. The interaction of these particles by scattering and decay provided a key to new fundamental quantum theories. Murray Gell-Mann and Yuval Ne'eman brought some order to these new particles by classifying them according to certain qualities, beginning with what Gell-Mann referred to as the "Eightfold Way". While its further development, the quark model, at first seemed inadequate to describe strong nuclear forces, allowing the temporary rise of competing theories such as the S-Matrix, the establishment of quantum chromodynamics in the 1970s finalized a set of fundamental and exchange particles, which allowed for the establishment of a "standard model" based on the mathematics of gauge invariance, which successfully described all forces except for gravitation, and which remains generally accepted within its domain of application. The Standard Model groups the electroweak interaction theory and quantum chromodynamics into a structure denoted by the gauge group SU(3)×SU(2)×U(1). The formulation of the unification of the electromagnetic and weak interactions in the standard model is due to Abdus Salam, Steven Weinberg and, subsequently, Sheldon Glashow. Electroweak theory was later confirmed experimentally (by observation of neutral weak currents), and distinguished by the 1979 Nobel Prize in Physics. Since the 1970s, fundamental particle physics has provided insights into early universe cosmology, particularly the Big Bang theory proposed as a consequence of Einstein's general theory of relativity. However, starting in the 1990s, astronomical observations have also provided new challenges, such as the need for new explanations of galactic stability ("dark matter") and the apparent acceleration in the expansion of the universe ("dark energy"). While accelerators have confirmed most aspects of the Standard Model by detecting expected particle interactions at various collision energies, no theory reconciling general relativity with the Standard Model has yet been found, although supersymmetry and string theory were believed by many theorists to be a promising avenue forward. The Large Hadron Collider, however, which began operating in 2008, has failed to find any evidence whatsoever that is supportive of supersymmetry and string theory. Cosmology may be said to have become a serious research question with the publication of Einstein's General Theory of Relativity in 1915 although it did not enter the scientific mainstream until the period known as the "Golden age of general relativity". About a decade later, in the midst of what was dubbed the "Great Debate", Hubble and Slipher discovered the expansion of universe in the 1920s measuring the redshifts of Doppler spectra from galactic nebulae. Using Einstein's general relativity, Lemaître and Gamow formulated what would become known as the big bang theory. A rival, called the steady state theory was devised by Hoyle, Gold, Narlikar and Bondi. Cosmic background radiation was verified in the 1960s by Penzias and Wilson, and this discovery favoured the big bang at the expense of the steady state scenario. Later work was by Smoot et al. (1989), among other contributors, using data from the Cosmic Background explorer (CoBE) and the Wilkinson Microwave Anisotropy Probe (WMAP) satellites that refined these observations. The 1980s (the same decade of the COBE measurements) also saw the proposal of inflation theory by Guth. Recently the problems of dark matter and dark energy have risen to the top of the cosmology agenda. One possible signature of a Higgs boson from a simulated proton–proton collision. It decays almost immediately into two jets of hadrons and two electrons, visible as lines. "This is a big moment for particle physics and a crossroads — will this be the high water mark or will it be the first of many discoveries that point us toward solving the really big questions that we have posed?" Peter Higgs was one of six physicists, working in three independent groups, who, in 1964, invented the notion of the Higgs field ("cosmic molasses"). The others were Tom Kibble of Imperial College, London; Carl Hagen of the University of Rochester; Gerald Guralnik of Brown University; and François Englert and Robert Brout, both of Université libre de Bruxelles. Although they have never been seen, Higgslike fields play an important role in theories of the universe and in string theory. Under certain conditions, according to the strange accounting of Einsteinian physics, they can become suffused with energy that exerts an antigravitational force. Such fields have been proposed as the source of an enormous burst of expansion, known as inflation, early in the universe and, possibly, as the secret of the dark energy that now seems to be speeding up the expansion of the universe. With increased accessibility to and elaboration upon advanced analytical techniques in the 19th century, physics was defined as much, if not more, by those techniques than by the search for universal principles of motion and energy, and the fundamental nature of matter. Fields such as acoustics, geophysics, astrophysics, aerodynamics, plasma physics, low-temperature physics, and solid-state physics joined optics, fluid dynamics, electromagnetism, and mechanics as areas of physical research. In the 20th century, physics also became closely allied with such fields as electrical, aerospace and materials engineering, and physicists began to work in government and industrial laboratories as much as in academic settings. Following World War II, the population of physicists increased dramatically, and came to be centered on the United States, while, in more recent decades, physics has become a more international pursuit than at any time in its previous history. ^ Click the image to see further details. "Using a whole body of mathematical methods (not only those inherited from the antique theory of ratios and infinitesimal techniques, but also the methods of the contemporary algebra and fine calculation techniques), Islamic scientists raised statics to a new, higher level. The classical results of Archimedes in the theory of the centre of gravity were generalized and applied to three-dimensional bodies, the theory of ponderable lever was founded and the 'science of gravity' was created and later further developed in medieval Europe. The phenomena of statics were studied by using the dynamic approach so that two trends – statics and dynamics – turned out to be inter-related within a single science, mechanics." "The combination of the dynamic approach with Archimedean hydrostatics gave birth to a direction in science which may be called medieval hydrodynamics." "Archimedean statics formed the basis for creating the fundamentals of the science on specific weight. Numerous fine experimental methods were developed for determining the specific weight, which were based, in particular, on the theory of balances and weighing. The classical works of al-Biruni and al-Khazini can by right be considered as the beginning of the application of experimental methods in medieval science." ^ "This shift from ecclesiastical reasoning to scientific reasoning marked the beginning of scientific methodology." Singer, C., A Short History of Science to the 19th Century, Streeter Press, 2008, p. 35. ^ Oliver Leaman, Key Concepts in Eastern Philosophy. Routledge, 1999, page 269. ^ Joseph Needham, Volume 4, Part 1, 98. ^ Robinson, Francis, ed. (1996). The Cambridge Illustrated History of the Islamic World. Cambridge University Press. pp. 228–229. ^ "Top 10 ancient Arabic scientists". COSMOS magazine. 2011-01-06. Retrieved 2013-04-20. ^ Singer, Charles (1941), A Short History of Science to the Nineteenth Century, Clarendon Press , page 217. ^ Stephen Hawking, "Galileo and the Birth of Modern Science", American Heritage's Invention & Technology, Vol. 24, No. 1 (Spring 2009), p. 36. ^ F. J. Hasert et al. Phys. Lett. 46B 121 (1973). ^ F. J. Hasert et al. Phys. Lett. 46B 138 (1973). ^ F. J. Hasert et al. Nucl. Phys. B73 1(1974). ^ Woit, Peter (20 October 2013). "Last Links For a While". Not Even Wrong. Retrieved 2 November 2013. ^ a b c d e f Overbye, Dennis (4 July 2012). "Physicists Find Particle That Could Be the Higgs Boson". The New York Times. Agar, Jon (2012), Science in the Twentieth Century and Beyond, Cambridge: Polity Press, ISBN 978-0-7456-3469-2 . Ben-Chaim, Michael (2004), Experimental Philosophy and the Birth of Empirical Science: Boyle, Locke and Newton, Aldershot: Ashgate, ISBN 0-7546-4091-4, OCLC 53887772 . Bertolini Meli, Domenico (1993), Equivalence and Priority: Newton versus Leibniz, New York: Oxford University Press . Biagioli, Mario (1993), Galileo, Courtier: The Practice of Science in the Culture of Absolutism, Chicago: University of Chicago Press, ISBN 0-226-04559-5, OCLC 185632037 . Bos, Henk (1980), "Mathematics and Rational Mechanics", in Rousseau, G. S.; Porter, Roy, The Ferment of Knowledge: Studies in the Historiography of Eighteenth Century Science, New York: Cambridge University Press, PMC 1139043 . Buchwald, Jed (1985), From Maxwell to Microphysics: Aspects of Electromagnetic Theory in the Last Quarter of the Nineteenth Century, Chicago: University of Chicago Press, ISBN 0-226-07882-5, OCLC 11916470 . Buchwald, Jed (1989), The Rise of the Wave Theory of Light: Optical Theory and Experiment in the Early Nineteenth Century, Chicago: University of Chicago Press, ISBN 0-226-07886-8, OCLC 18069573 . Buchwald, Jed (1994), The Creation of Scientific Effects: Heinrich Hertz and Electric Waves, Chicago: University of Chicago Press, ISBN 0-226-07888-4, OCLC 29256963 . Darrigol, Olivier (2005), Worlds of Flow: A History of Hydrodynamics from the Bernoullis to Prandtl, New York: Oxford University Press, ISBN 0-19-856843-6, OCLC 237027708 . Drake, Stillman (1978), Galileo at Work: His Scientific Biography, Chicago: University of Chicago Press, ISBN 0-226-16226-5, OCLC 185633608 . Galison, Peter (1997), Image and Logic: A Material Culture of Microphysics, Chicago: University of Chicago Press, ISBN 0-226-27917-0, OCLC 174870621 . Garber, Daniel (1992), Descartes' Metaphysical Physics, Chicago: University of Chicago Press . Garber, Elizabeth (1999), The Language of Physics: The Calculus and the Development of Theoretical Physics in Europe, 1750–1914, Boston: Birkhäuser Verlag . Gaukroger, Stephen (2002), Descartes' System of Natural Philosophy, New York: Cambridge University Press . Greenberg, John (1986), "Mathematical Physics in Eighteenth-Century France", Isis, 77: 59–78, doi:10.1086/354039 . Golinski, Jan (1999), Science as Public Culture: Chemistry and Enlightenment in Britain, 1760–1820, New York: Cambridge University Press, PMC 1036800 . Guicciardini, Niccolò (1989), The Development of Newtonian Calculus in Britain, 1700–1800, New York: Cambridge University Press . Guicciardini, Niccolò (1999), Reading the Principia: The Debate on Newton's Methods for Natural Philosophy from 1687 to 1736, New York: Cambridge University Press . Hall, A. Rupert (1980), Philosophers at War: The Quarrel between Newton and Leibniz, New York: Cambridge University Press . Heilbron, J. L. (1979), Electricity in the 17th and 18th Centuries, Berkeley: University of California Press . Hunt, Bruce (1991), The Maxwellians, Ithaca: Cornell University Press . Jungnickel, Christa; McCormmach, Russell (1986), Intellectual Mastery of Nature: Theoretical Physics from Ohm to Einstein, Chicago: University of Chicago Press . Kragh, Helge (1999), Quantum Generations: A History of Physics in the Twentieth Century, Princeton: Princeton University Press . Rashed, R.; Morelon, Régis (1996), Encyclopedia of the History of Arabic Science, 2, Routledge, ISBN 0-415-12410-7, OCLC 34731151 . Schweber, Silvan (1994), QED and the Men Who Made It: Dyson, Feynman, Schwinger, and Tomonaga, Princeton: Princeton University Press . Shea, William (1991), The Magic of Numbers and Motion: The Scientific Career of René Descartes, Canton, Massachusetts: Science History Publications . Smith, Crosbie (1998), The Science of Energy: A Cultural History of Energy Physics in Victorian Britain, Chicago: University of Chicago Press . Smith, Crosbie; Wise, M. Norton (1989), Energy and Empire: A Biographical Study of Lord Kelvin, New York: Cambridge University Press . Byers, Nina; Williams, Gary (2006). Out of the Shadows: Contributions of Twentieth-Century Women to Physics. Cambridge University Press. ISBN 0-521-82197-5. Cropper, William H. (2004). Great Physicists: The Life and Times of Leading Physicists from Galileo to Hawking. Oxford University Press. ISBN 0-19-517324-4. Dear, Peter (2001). Revolutionizing the Sciences: European Knowledge and Its Ambitions, 1500–1700. Princeton: Princeton University Press. ISBN 0-691-08859-4. OCLC 46622656. .
Gamow, George (1988). The Great Physicists from Galileo to Einstein. Dover Publications. ISBN 0-486-25767-3. Heilbron, John L. (2005). The Oxford Guide to the History of Physics and Astronomy. Oxford University Press. ISBN 0-19-517198-5. Nye, Mary Jo (1996). Before Big Science: The Pursuit of Modern Chemistry and Physics, 1800–1940. New York: Twayne. ISBN 0-8057-9512-X. OCLC 185866968. .
Segrè, Emilio (1984). From Falling Bodies to Radio Waves: Classical Physicists and Their Discoveries. New York: W. H. Freeman. ISBN 0-7167-1482-5. OCLC 9943504. .
Segrè, Emilio (1980). From X-Rays to Quarks: Modern Physicists and Their Discoveries. San Francisco: W. H. Freeman. ISBN 0-7167-1147-8. OCLC 237246197. .
Weaver, Jefferson H. (editor) (1987). The World of Physics. Simon and Schuster. ISBN 0-671-49931-9. CS1 maint: Extra text: authors list (link) A selection of 56 articles, written by physicists. Commentaries and notes by Lloyd Motz and Dale McAdoo. de Haas, Paul, "Historic Papers in Physics (20th Century)"
"Selected Works about Isaac Newton and His Thought" from The Newton Project. This page was last edited on 7 April 2019, at 06:07 (UTC).